It was decided that the cost of reinstating the breached canal could not be justified so it was sealed off with pilings at the junction with the Trent & Mersey Canal and filled in over a period of years. The infill material was a mix of general rubble and waste slag from Shelton Bar steel works. 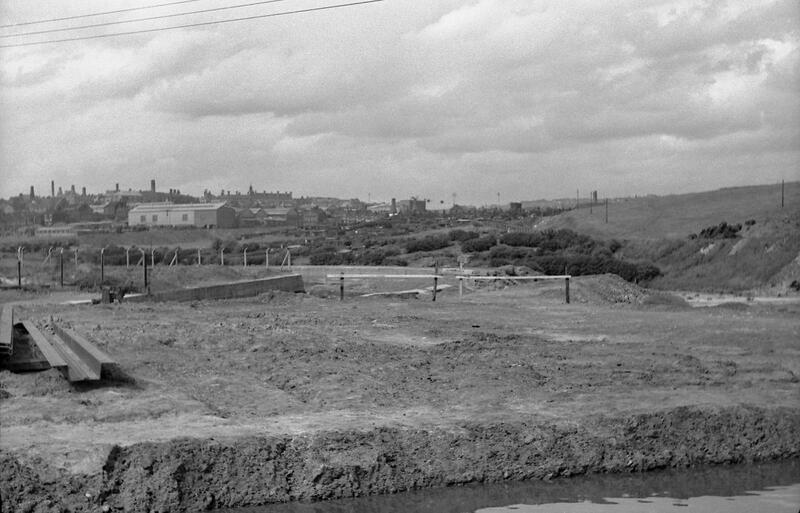 The bend in the canal where it had breached was re-profiled so that the valley area seen today bears little resemblance to how it would have appeared before this time. In the area by the Co-Operative Bakery a concrete pad was put down on top of the filled canal so that vehicles could move in and out of the area. It is believed that this was done so that materials could be supplied to the bakery on the same side of the building as they would have previously been supplied by boat.